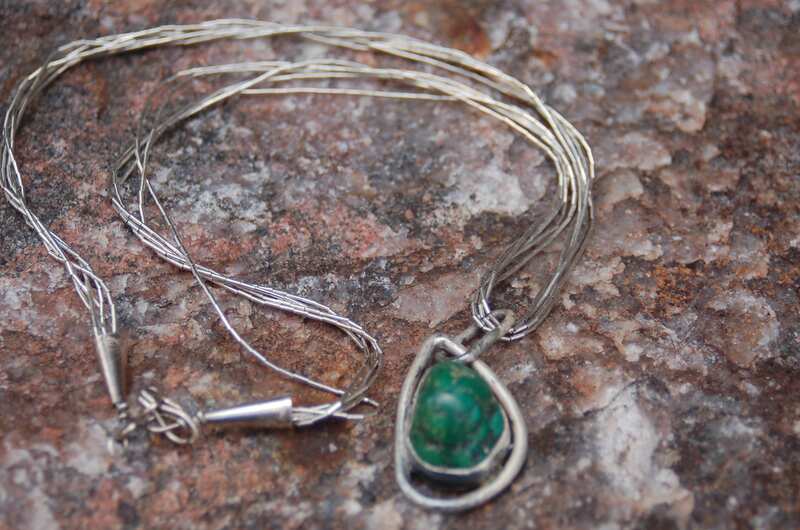 This gorgeous turquoise and liquid silver necklace is by the highly collectible Navajo artist, Jerry Roan (1919-1977). 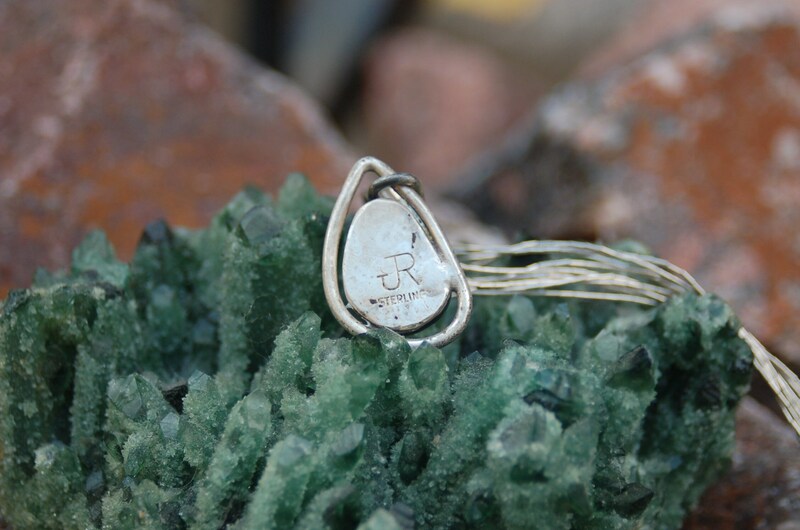 Navajo tribal native Jerry Roan had a long and productive life as a silversmith and jewelry maker. He began actively working at silversmithing around 1968 and continued for almost 30 years. 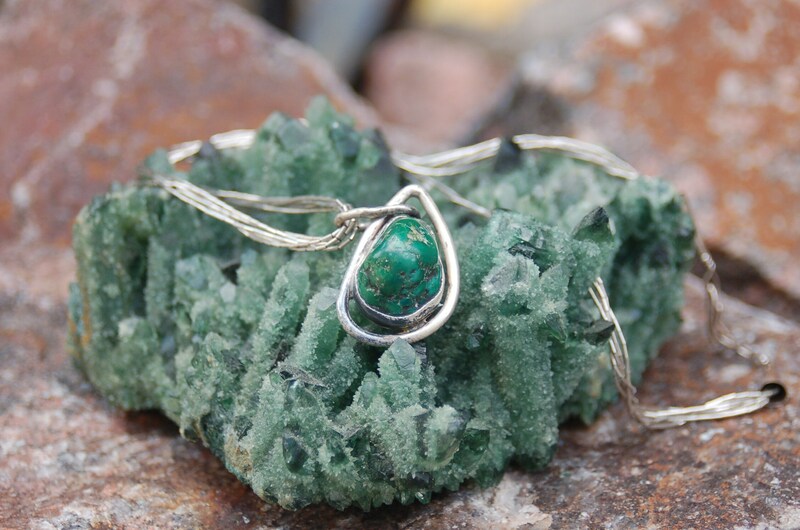 In 1969, a year after he began smithing, he won a 1st Place Award at the Navajo Tribal Fair in Arizona. Roan was included in the 2002 exhibit “Jewels of the Southwest” at the Museum of Indian Arts and Culture, Santa Fe. His work is included in the collections of the Smithsonian National Museum of the American Indian, Washington, and the Yellowhorse Museum in Paradise Valley, Arizona. Wear this with your favorite dress or sweater for a Southwestern vibe. The necklace is only $295. Order now to guarantee availability. 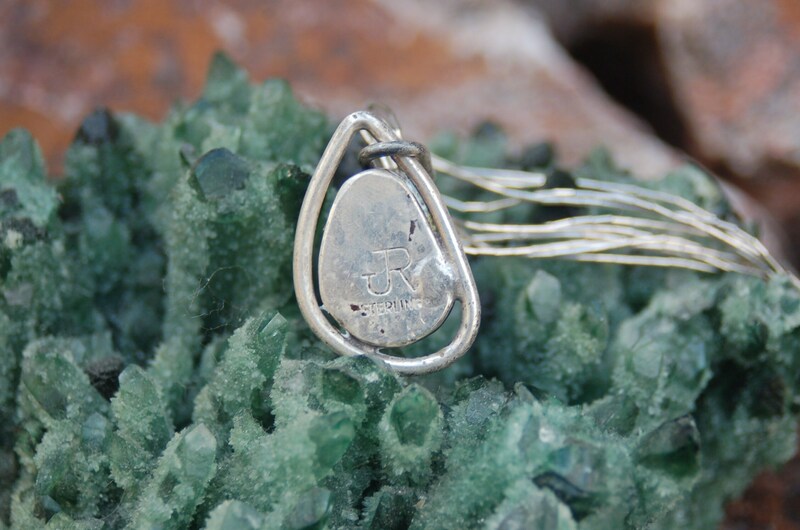 PHAMALY was co-founded by Kathleen Traylor, the artist of Song Sense Jewelry in 1988. Read more about it in her Blog at www.SongSense.org. Your item will arrive in a gift box. Shipping is FREE in the US and fully tracked. Any questions, please contact me. For more about me and my work, visit my Blog at http://www.songsense.org. Please note: Every effort is made to photograph items accurately and describe the products in detail; however, due to different computer monitors/calibrations colors may not represent the exact product you will receive. 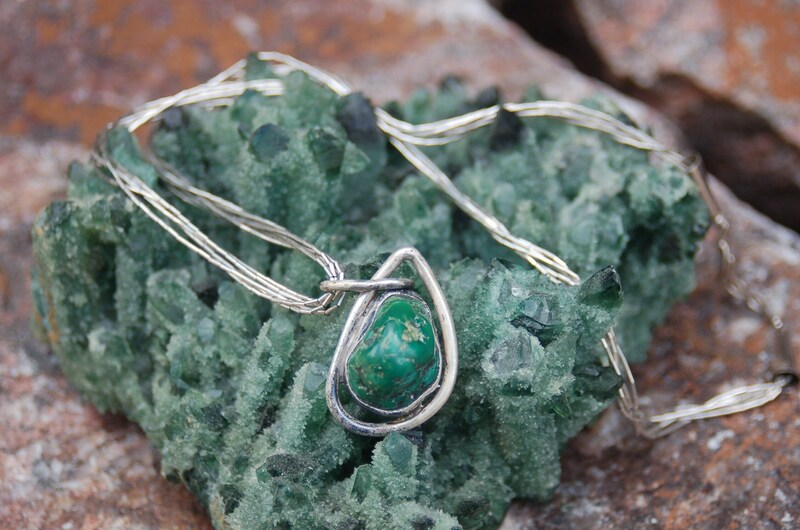 Visit Song Sense Jewelry's Shop at http://www.songsense.shop/shop to see my other items! I will get back to you with some design ideas after reviewing your form. Why are our prices so low on designer quality jewelry? My unique, yet affordable handmade beaded jewelry and clay wearable art pieces use genuine gemstones, Swarovski crystals, freshwater pearls, glass, wood, fossil, seedbeads, polymer clay, sterling silver, and gold in necklaces, pendants, earrings, or bracelets. However, I save money and lower prices by buying materials on sale, keeping no overhead, selling online, having no staff to pay, and keeping profit low. What kind of necklace will go with everything? Did you ever get dressed and then discover that none of your jewelry looks right with your outfit? Buying quality jewelry that will not go out of style is a good investment. It should be the basis of your collection. Then add a few trendy pieces. Beaded jewelry has a long history and offers a wide variety of styles, colors, and materials. What Necklace Length Should I Get? I'm offering gift wrapping for the Holidays! I always send my jewelry in fancy gift boxes anyway. But for December, I'm offering the extra touch of wrapping paper and bows for $3.25. I know how a lot of people hate doing it themselves, so I'll do it for you! Just send me a message letting me know that's what you want. Wonderful necklace just as shown. Nicely packaged and shipped in a timely manner. Would definitely buy from this shop again.